D&T Builders, LLC is a full service general contracting firm, serving Southern New Jersey with over 30 years of experience in home building and home remodeling. 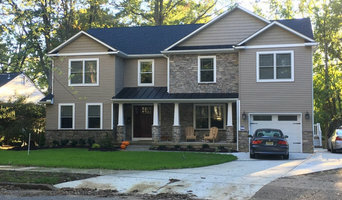 JP Custom Home Construction is a small construction business and kitchen cabinet distributor based out of Wynnewood, Pennsylvania servicing the Main Line and Philadelphia areas. We offer a variety of construction services for customers both big and small. Our ultimate goal is to provide customer satisfaction. Unlike many competitors we achieve this goal by providing quality end products, efficient time management and excellent customer/contractor communication. We are able to help with every step of the construction process from design ideas and layout to finished carpentry. JP Custom Home Construction LLC is an authorized dealer for a US based cabinetry line that offers a full line of custom cabinetry. We feel the need to be hands on in regards to the cabinetry ordering and delivery process for our projects in order to deliver kitchen and bathroom renovations in a seamless manner. Being involved from Design to Delivery, we can guarantee our customers with a quick turn around time, turning your kitchen dreams into a reality! If you are already working with a contractor or are planning on doing the kitchen installation yourself, we can still help you with the design and ordering of your cabinets. McGonigle & Company Builders has been renovating homes since 1993 We are a full service contractor with expertise in all phases of both residential and commercial construction. Through quality workmanship, fair pricing, and attention to detail, we meet your needs while working within your budget. Working on any project, whether large or small, McGonigle & Company Builders provide you with an excellent building experience. Our company is based in the Northern Montgomery County area. We are a family owned and operated business. Tim Bird, our Project Manager and Licensed Home Improvement Contractor, and has over 25 years in the Construction Business. Give us a call today for all of your Construction needs. 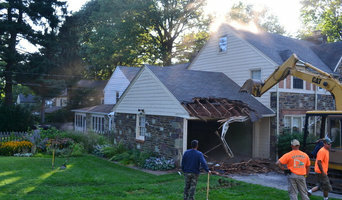 We are a General Contractor Corporation and licensed by The Commonwealth of Pennsylvania. We have extensive experience in many areas of construction, but Carpentry is Tim's passion. New house, old house, commercial or industrial we can update, install, service or repair your space. No project is too big or too small. 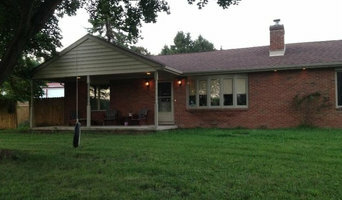 We will oversee your entire undertaking from start to finish. Avi's Home Improvements, LLC, owned and operated by Abraham (Avi) Pichoto specializes in home repairs, remodeling, and design. Since 2001, Avi Pichoto has taken pride in providing high quality works and the highest customer satisfaction for a fair price. You name it, he can do it. If you live in the South Jersey or Philadelphia areas, Avi's Home Improvements is the right choice for you. Family owned and operated. In entering our 15th year in business, we have successfully added a 2nd division to Colella Construction Inc. Our focus is on Kitchen and Bath Design and Remodeling. *National Association of the Remodeling Industry - New Jersey Contractor of the year 2018* With over 50 years of combined construction experience and a B.S. in Construction Management, the father and son dream team of Conniff Construction can assure you that your construction project is in good hands. Conniff Construction is a NARI certified construction company, with Sean also attaining a Certified Remodeling Project Manager designation; showing dedication to their clientele and staying on top of the competition. Through continuing education, we can assure our clients that we are providing only the BEST in today's construction practices and materials for both Residential and Commercial projects. We look forward to making your design, build and remodeling experience part of our family legacy. Whether it's getting your home remodeled or fixing damage that's been done to your home, we're here to help you every step of the way. Since 2001, Fair Deal Construction LLC has not just delivered many home projects, but also built great customer relationships as a trusted contractor. 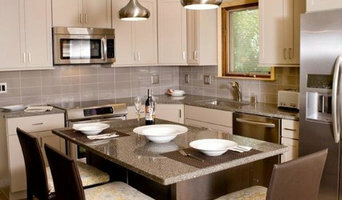 We provide services for remodeling your kitchen, bathroom, flooring, basement, deck, painting at reasonable prices. We begin the construction process by clearly defining our clients’ needs. Once the parameters have been established, we start the construction process and recommends cost-savings ideas for quality improvements. Please engage us for your next project.